Many thanks to Stefan Heymann for the translation! NOTE ADDED 2006: I am no longer doing much film photography and am no longer actively updating this page. I will make corrections as needed to keep its contents accurate, but I am no longer soliciting further information about this developer. Thank you for your interest! I want to thank Stefan Heymann for redesigning the tables on this page. Copyright 2001, 2002, 2003, 2004, 2006 Michael A. Covington. This page is not in any way connected with or endorsed by Eastman Kodak Company or any other photographic manufacturer. Many of the product names that appear on this page are registered trademarks of their respective owners. Pan F Plus 50 B 4 min n.r. 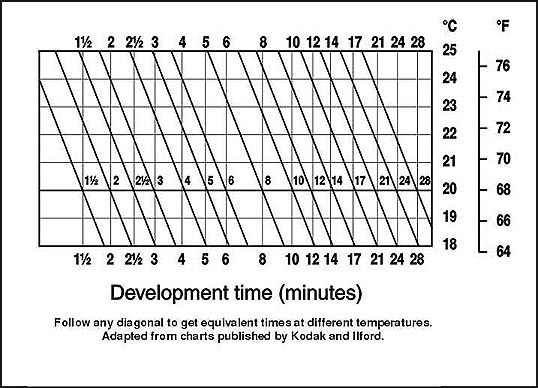 dilute the fixer to get the fixing time to six minutes? That much? Does it still have enough capacity for 135-36? Cool! 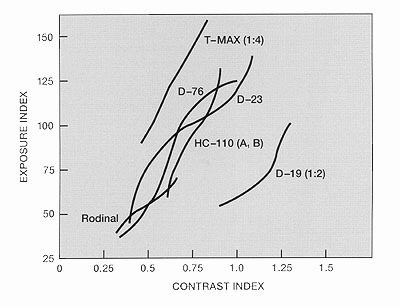 D-76, D-23, HC-110, and Agfa Rodinal were the same to within experimental error. Rodinal looks as if it might have given somewhat lower speed than the others if the curves were extended, but this is not certain. Likewise HC-110 may be running a little lower than D-76. 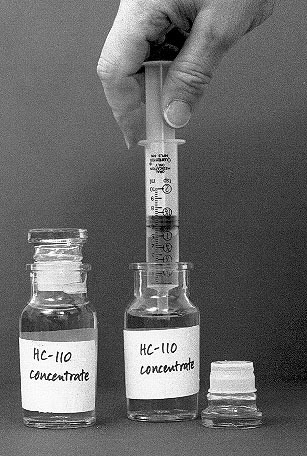 D-19, often used for scientific work, gave much less speed than HC-110 at comparable contrast indices. thanks to Michael Covington original writer of this text! 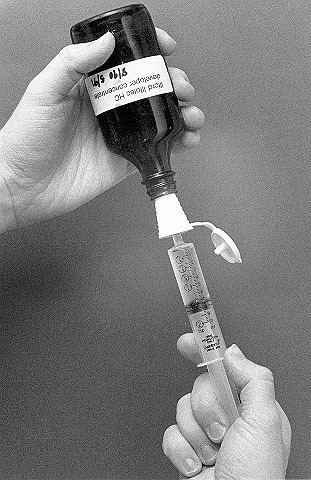 Film Speed Dilution Time 68 F 20 C Time 75 F 24 C OLD T-Max 100 (TMX) 100-200 B 7 min 5 min 400 B 9.5 min 6.5 min NEW T-Max 100 (100TMX) 100 B 6 min 4.5 min T-Max 400 (TMY and 400TMY) 320-800 B 6 min 4.5 min 1600 B 8.5 min 6 min OLD T-Max P3200 (TMZ) 400 B 7.5 min 5 min 800 B 8 min 5.5 min 1600 B 9 min 6 min 3200 B 11.5 min 7.5 min 6400 B 14 min 9.5 min NEW T-Max P3200 (TMZ) 400 B 7.5 min 5 min 800 B 8.5 min 6 min 1600 B 9.2 min 6 min 3200 B 10.5 min 7 min 6400 B 12 min 8.5 min Technical Pan 32 F 6 min 4.3 min Gamma = 1.05 64 F 10 min 7 min Gamma = 1.20 125 D 8 min 6 min Gamma = 2.00 250 B 12 min 9 min Gamma = 2.70 Max A 10 min 7 min Gamma > 2.9 All of these are for high contrast. 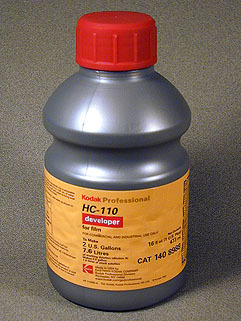 For normal contrast, use Xtol or Technidol Liquid. OLD Plus-X (PX, PXP), Verichrome Pan 125 B 5 min 3.5 min NEW Plus-X Pan (125PX) 125 B 3.5 min See note below 125 B 5 min 3.5 min Unofficial OLD Tri-X Pan (TX) 400 B 7.5 min 5 min See note below 1600 B 16 min 12 min OLD Tri-X Prof (TXP) 320 B 5.5 min 3.7 min NEW Tri-X Pan (400TX) 400 B 3.7 min See note below 400 E 6.5 min 5 min Unofficial Film Speed Dilution Time 68 F 20 C Time 75 F 24 C SFX 200 400 B 10 min 7 min My estimate 100 Delta 50 B 5 min 3.5 min 100 B 6 min 4 min 200 B 8 min 5.3 min Delta 400 (new) 320 B 7.5 min 5 min 800 B 10 min 6.5 min 1600 B 13.5 min 9 min Delta 3200 400 B 6 min 4 min 800 B 7.5 min 5 min 1600 B 9 min 6 min 3200 A 8 min 5.5 min 6400 A 13 min 8.5 min HP5 Plus 400 B 5 min 3.5 min 800 B 7.5 min 5 min 1600 B 11 min 7 min FP4 Plus 50 B 6 min 4 min 125 B 9 min 6 min 200 B 12 min 8 min Pan F Plus 50 B 4 min n.r.